Japan infatuated with Korean novel ‘How a Murderer Remembers’. April. 16, 2018 07:41. by Won-Jae Jang peacechaos@donga.com. 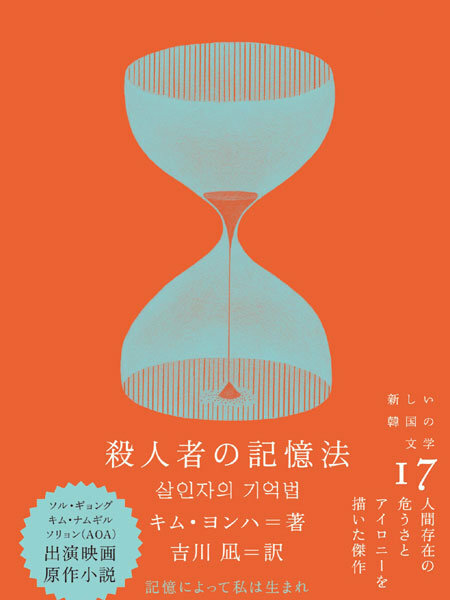 Kim Young-ha’s novel “How a Murderer Remembers” has won the grand prize in the fourth Japan Translation Award. The grand prize is given to the best work translated into Japanese over 13 months from December 1, 2016 to the end of last year. The novel has a unique story unfolded by a serial killer who is losing memories from Alzheimer’s, and its translated version was published in October in Japan. “Every sentence shines” and “The best novel I have read this year” were some of the reader comments. The novel was made into a film and released both in Korea and Japan. The organizing committee added five more works recommended by judges to 13 works recommended by readers, listing up 18 candidates in total, which included three Korean novels. Five novels were shortlisted afterwards, and “How a Murderer Remembers” received the grand prize along with “Lalka” by Polish author Bolesława Prusa. The awards ceremony will be held on April 28 in downtown Tokyo. More and more Japanese readers are showing interests to Korean literature. “Many Korean novels are translated into Japanese, which naturally is forming a market,” said Kim Seung-bok, the CEO of publisher Cuon. “Unlike Japanese authors, Korean authors tend to directly talk about sensitive social issues.” This prize, crowd-funded by readers, garnered a lot of attention when Park Min-gyu’s “Castella” received the grand prize in the first Translation Award in 2015.